Thank you for your acknowledgment and please contact us with any questions. The following policies are in place to protect you and the owners of the resort property. By paying your deposit all resort guests are considered to be in agreement of resort policies which are listed below. Please review them before placing a deposit down on a cabin as all policies are strictly enforced. Thank you for your acknowledgment and please contact us with any questions. We are a self service resort and may not be on location at all times, there is a property manger nearby in case of emergency. We can always be reached at 630-728-9669, to answer any questions, give general direction, tips how to etc. Text message for fastest response. No campers, motorhomes or tent camping. 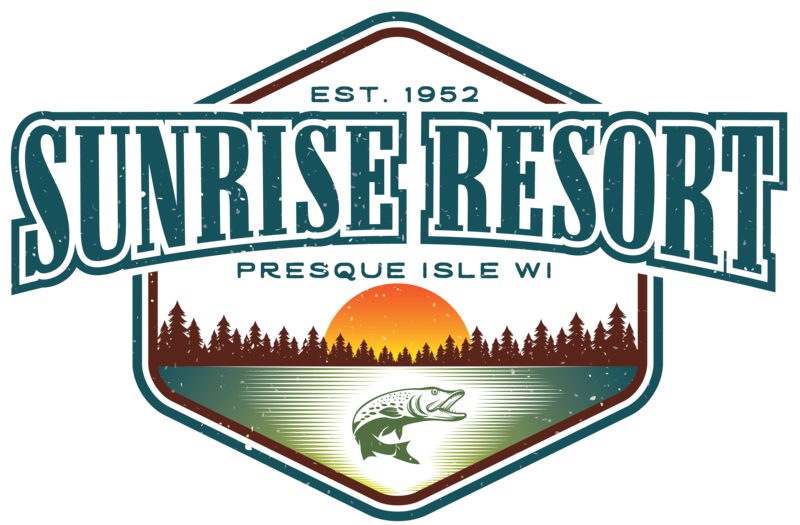 Reservations are not considered “guaranteed” until Sunrise Resort receives 50% of the base rental amount excluding taxes, deposits and fees with the exception of returning yearly guests. The remaining half or 50% of the rental rate, remaining balance due 60 days prior to occupancy. Lockbox codes and wifi password will be provided when reservation is paid in full. A fee of $50.00 will be charged against guest for any returned check. Returning yearly guests may submit a non-refundable deposit of $200 to reserve the same reservation week for the following year at time of Check-Out. The remainder of the required half of the base rental amount is due and payable no later than January 15th of the year of the rental period. Sunrise Resort reserves the right to cancel the reservation at any time if payment is not made on time. Personal Check, Cash, Credit Card, Paypal or Chase Quickpay are forms of payment for all deposits, base rent, taxes and fees. Sunrise Resort does require an active credit card to remain on file for any additional fees or charges for damages described within multiple provisions of this agreement. Guest must provide active credit card in above section entitled “Credit Card Information”. Guest authorizes Sunrise Resort to charge the card on file should any additional balance become due and payable upon or after check-out. If the card provided above declines, Guest agrees to provide additional form of payment within 48 hours of being notified of the additional charges. Credit Card and PayPal payments will incur a fee of 3% for every transaction, no additional fees for personal checks. Depending on the season in which your rental period falls, Sunrise Resort requires a minimum night stay of 3 nights during non-peak rental season typically extending from September 1st through May 31st and a 7 nights stay during peak rental season typically extending from June 1st through September 30th. Other accommodations may be available please inquire with us. If prior to the Check-In date guest requests a cancellation of the reservation, Sunrise Resort will work to secure a replacement reservation. If a replacement reservation is secured, Agent will retain a cancellation fee of 25% of all money paid or $200, whichever is greater. If a replacement reservation is not secured, all money paid will be retained as a cancellation fee and no refunds will be provided. No-shows will surrender any deposits received. We do not refund rental fees due to ruined expectations caused by weather conditions, lake conditions, travel conditions, or other elements indigenous to the Northwoods flora/fauna including insects, arachnids, amphibians, fish, reptiles, rodents, mammals. If something malfunctions in your cabin, we ask that you give us the opportunity to repair or rectify the situation as soon as reasonably possible. Fees will not be refunded if guest simply do not “like” a cabin or exhibits unreasonable expectations. All visitors must register in advance. A visitor is defined as one who visits the premises during the day and does not have a cabin reservation. Use of resort amenities, grounds, facilities and swim are are reserved for the use of paying guests only. Guest is responsible for any damages that occur during the rental period. All known damages must be reported to Sunrise Resort upon Check-Out. Any damages beyond normal wear and tear will be charged against the credit card on file. Alterations to the premises are strictly prohibited and will be interpreted as damages to the property. Moving furniture will be interpreted as an alteration and charged accordingly. Furnishings are subject to change without notice. All furnishings, bedding, kitchen equipment or other property specific to the premises must not be removed or transferred to another rental property. Loss of any item belonging to the premises will result in a charge against the credit card on file. Guest is responsible for notifying Sunrise Resort of any broken or lost items. Sunrise Resort is not responsible for lost items, however we will make reasonable attempt to return a lost item. Standard amenities include bed linens, kitchen and bath towels (provided at time of rental, these are not changed/laundered during the term of the reservation); kitchen with oven, fridge, microwave, coffee maker and toaster and other items for meal preparation. Items such as beach towels, personal toiletries and charcoal are not provided. Sunrise Resort will have some minimal sundries for purchase if things are forgotten, there are several stores nearby to shop for necessities. Please see the list of “Things to bring for your stay” to help with your vacation packing. Information regarding individual property amenities are listed on Sunrise Resort’s website and literature and is believed to be accurate and to the best of our knowledge. Specific furnishings and amenities are subject to change without notice. The premises will be cleaned prior to occupancy and will not be cleaned or tended to by any maid service during the term of this agreement. Guests are responsible for returning the premises in a clean, sanitary condition, free from objectionable odors and excessive dirt, sand, hair or debris. Guests are asked to ensure all dishes are cleaned and put back into cabinets. If Sunrise Resort, in its sole discretion, deems the cabin to be left in an unsanitary condition beyond what is considered reasonable by Sunrise Resort and additional cleaning is required, an additional cleaning fee will be charged against Guest credit card on file at an hourly rate of $50/hour. At time of check out, all trash must be removed from in and around cabin. Guest is responsible for disposing of all garbage in provided dumpsters near garage. Guest is prohibited from disposing of household garbage in any trash receptacle on the property except for the grounds dumpster located near the entrance of the resort. Guest may not dispose of trash which includes but is not limited to glass bottles, cans, paper, plastic or any other form of trash in the grounds firepit. Guest is advised to leave all trash inside their cabin until brought to the dumpster as animals can tear open garbage bags left outside the cabin overnight in which case, the Guest would be responsible for cleaning up all debris. Sunrise Resort cannot guarantee against mechanical failures of any utility or amenity on or surrounding the premises. Guest is responsible for reporting any mechanical failure or required maintenance immediately. Agent and its affiliates will make every reasonable attempt to remedy the situation in a timely manner; however, no partial refunds or reservation reductions will be made. Please call or text 630-728-9669 to report any malfunctions. Firewood located on the property near the garage and is self-serve. DO NOT TRANSPORT FIREWOOD TO OR FROM VILAS COUNTY. Smoking is strictly prohibited inside the cabins, rec room, garages and screen porches. If Sunrise Resort deems in its sole discretion that this provision has been violated, all costs incurred to return the cabin to its original, non-smoking status will be charged against Guest credit card on file. Please be advised the fees may total in excess of $700 for the additional cleaning required. Vehicles must be licensed, in good working order, not cause any noise nuisance, and be parked in the cabin’s designated parking spaces. Guest is provided a maximum of 2 parking spaces per cabin and all vehicles in excess of 2 must park in “additional vehicle and guest parking” located near the dumpster on the resort grounds. Trailer and boat parking is also available in designated areas only. See Agent for details. For the safety of all Guests, firearms and fireworks are not permitted on the property. Weapons of any kind are strictly prohibited including but not limited to paint ball guns, pellet guns, BB guns, pistols, rifles, or any kind of firework. Guest may not relocate any water raft or buoy on the property. Water rafts and buoys are placed in designated areas for the safety of all guests and may not be moved from the location they are placed in by Agent. One boat slip is provided for each cabin and is labeled with the number that coincides with the cabin number. Guest may not park their boat or watercraft in another cabins boat slip without the express, written approval of Agent. Guest assumes all responsibility for the use or misuse of Guest boat or watercraft and boat slips. Sunrise Resort will not be held liable for any damage that may be caused by Guest. Quiet hours between 10pm and 8am when Guests are asked to keep noise to a minimum so as to not disturb others during night hours. Guests are expected to be good neighbors respecting the rights of the surrounding property owners or risk the need to vacate the premises. Guest shall not assign or sublet the premises under any condition. Guest is responsible for ensuring all occupants and visitors are in compliance with all the terms, conditions, provisions, rules and policies of this Agreement. Failure to comply with any or all of the terms of this agreement may result in a removal from the premises, without refund, in addition to any other remedy available to Agent. In case suit should be brought for recovery of any sum due hereunder, or because of any act which may arise out of the possession of the premises, by either party, the substantially prevailing party shall be entitled to all costs incurred in connection with such action, including a reasonable attorney’s fee and court costs. All parties agree that any civil action or legal proceeding arising out of or relating to this Agreement shall be brought in the courts of record in the State of Wisconsin in Vilas County. We comply with all federal, state and local fair housing laws.